New Delhi, Oct 24 (IANS) India’s Goods and Services Tax (GST) collections in September totalled Rs 92,150 crore and were collected from 42.91 lakh businesses, the government announced on Tuesday. “The total revenue in GST regime under different heads (up to October 23) for September 2017 is Rs 92,150 crore,” a Finance Ministry statement said here. 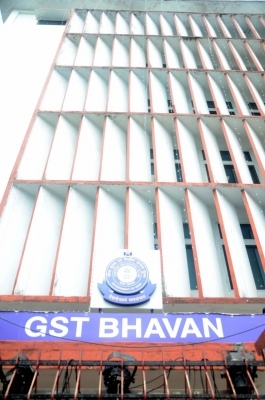 Till Monday, 42.91 lakh business entities had filed September’s initial GSTR-3B return, which is basic self-assessment of sales and purchase, the statement added. “To facilitate taxpayers, late fee on the filing of GSTR-3B for August and September has been waived. Late fee paid will be credited back to taxpayer ledger,” Finance Minister Arun Jaitley announced in a tweet.